Industry nine grade 300 29” with boost hubs. 6 bolt rotors and Shimano HG driver. The front rim is brand new and the rear rim has one ride on it. I have two sets of these wheels and I am trying to clean out my garage. As close to new as you can get! $1300 retail. Brand new in the box smith forefront 2 size small I ordered the wrong size. My loss is your gain. Brand new pedals in the box, longer pins included. These are the larger version. Selling my smith forefront 2 with MIPS Size medium I only wore this 3 or 4 times since new, never crashed in. There is a small mark on the top where I dropped it, I know, I’m an idiot. This is my favorite helmet I have worn, I am vain and only selling to get a new colorway. Save big on this top of the line helmet! 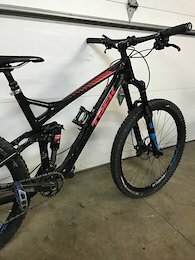 Low miles Selling my commencal meta am v4.2 new zealand edition 27.5” size medium This bike is in great shape and a killer build for the money! Fox 36 Factory 170mm Fox DHX2 Coil Shock E13 dropper post Gx Eagle drivetrain Shimano xt brakes. E13 wheels with quick engagement hubs Maxxis tires This bike is an absolute blast to ride, I am just thinning the herd. 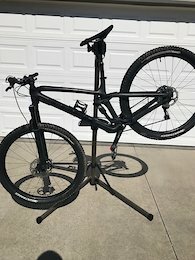 Selling my excellent condition Rockshox super deluxe rc3 230x57.5 Rear Shock from a trek slash or remedy, stock hardware is included. This shock is in excellent condition and ready to ride! 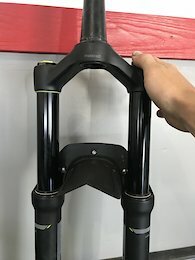 Selling a good condition mrp amg v2 bash and chain guide. Chain guide is brand new with one ride. All hardware included. 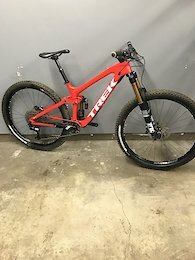 Selling my push elevensix off of my transition patrol. Shock size 216x63 or 8.5x2.5, it can also be sent to push and changed to whatever you desire. This shock will also work in an evil wreckoning along with many others with the same shock size. 425 pound spring. Works flawlessly!